98 ROCK has a rare opening in our sales department that might be a perfect fit for you. 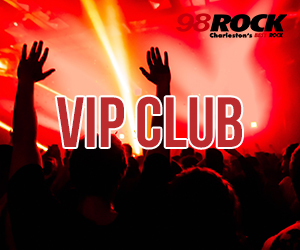 98 Rock in Charleston South Carolina has a rare opening for an experienced account executive. This is one of the most exciting and vibrant cities in the country! Strong economy! If you are aggressive, creative, energetic, and enjoy building client relationships, then I would like to hear from you. Problem solvers who love the art of sale and are interested in a position with a privately owned, stable, and successful company, should contact me in confidence. EMAIL YOUR RESUME TO JEFF@RADIOOFCHARLESTON.COM. 98 Rock IS AN EQUAL OPPORTUNITY EMPLOYER. This is an entry level position for a Candidate with excellent communication skills and the ability to deliver quality customer service on a consistent basis to both station advertisers and listeners. We are looking for a dependable problem solver that can either work independently or with a group. Promo Tech positions require a valid driver’s license, valid vehicle insurance coverage, good driving record, and the ability to lift and transport 20 – 50 pounds of equipment.